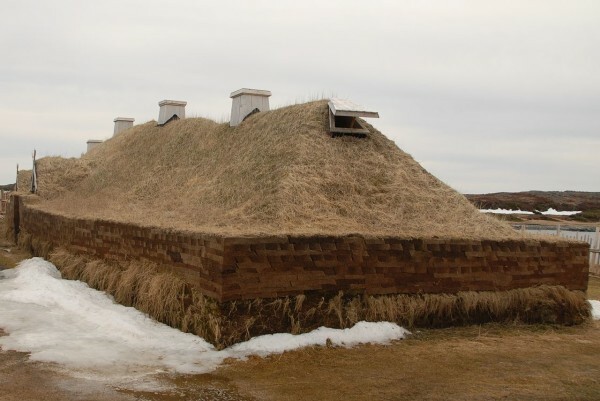 A reconstruction of a Norse hut at LAnse aux Meadows on Newfoundland, the first and thus far only confirmed Viking settlement in North America, believed to have been established in the 11th century. Sarah Parcak, a Bangor native and one of the world’s best known archaeologists, is once again grabbing headlines. News that a team led by Parcak has discovered a possible second Viking settlement in North America has gotten the Internet buzzing. The presence of another such pre-Columbian Norse settlement on the continent has long been theorized, but Parcak’s find appears to be the most promising lead in years in the search for proof. Details of the discovery are promised to be rolled out in a two-hour documentary titled “Vikings Unearthed,” streaming online starting Monday and airing on television on PBS next Wednesday. Parcak has risen to stardom in a field that’s historically been more academic, having been called a “real-life Indiana Jones” and “space archaeologist” for her groundbreaking work using satellite images to identify hidden and buried historical sites. She’s reportedly found as many as 17 previously unknown Egyptian pyramids and mapped out a number of long-obscured landmarks of the Roman Empire using this method over the years. And she’s also been a guest on “The Late Show with Stephen Colbert,” grabbing an invite more commonly reserved for Hollywood stars and blowing the talk show host’s mind in an interview video that took the Internet by storm. This time, Parcak turned her gaze toward North America, where she worked with Canadian experts to scan a range of potential Viking settlement sites from Baffin Island to Massachusetts. Although there have been theories about other Norse landing spots in what the Christopher Columbus crowd called the “New World” a few centuries later, the only confirmed such settlement is the 11the century L’Anse aux Meadows site in Newfoundland. An 11th century Norwegian silver coin was discovered in Brooklin, Maine, in the 1950s, for instance, but some experts have argued it’s more likely a sign of later trade than a Norse settlement there. A pair of stone carvings found near Spirit Pond in Phippsburg in the early 1970s have captured the imaginations of many who have claimed they’re proof of a Viking visit sometime between 1010-1400, but state archaeologists maintain the so-called rune stone and map stone are crude fakes. She found hundreds of potential “hot spots” that high-resolution aerial photography narrowed to a handful and then one particularly promising candidate — “a dark stain” with buried rectilinear features. Magnetometer readings later taken at the remote site, called Point Rosee by researchers, a grassy headland above a rocky beach an hour’s trek from the nearest road, showed elevated iron readings. And trenches that were then dug exposed Viking-style turf walls along with ash residue, roasted ore called bog iron and a fire-cracked boulder — signs of metallurgy not associated with native people of the region. In addition, radiocarbon tests dating the materials to the Norse era, and the absence of historical objects pointing to any other cultures, helped persuade scientists involved in the project and outside experts of the site’s promise. The experts are to resume digging there this summer. The newspaper reported that fellow subject matter experts have expressed cautious optimism for the new find. “It would just be logical that there’s more than one site,” Gerald Bigelow, a specialist in North Atlantic archaeologist at Bates College, told the New York Times.